We live in a globalized world that is shaped by a complex economic system. Hence, it has become more and more important for people to know what is going on around them. However, finding and processing the relevant information to do this has become more difficult as well, because of the information overload. 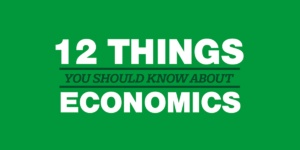 Therefore, we have been working on a series of infographics that illustrate the most important facts and figures about the economies of various countries all over the world. 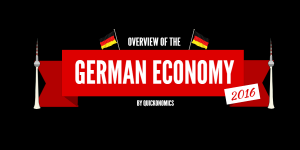 The next infographic shows the German economy at a glance. 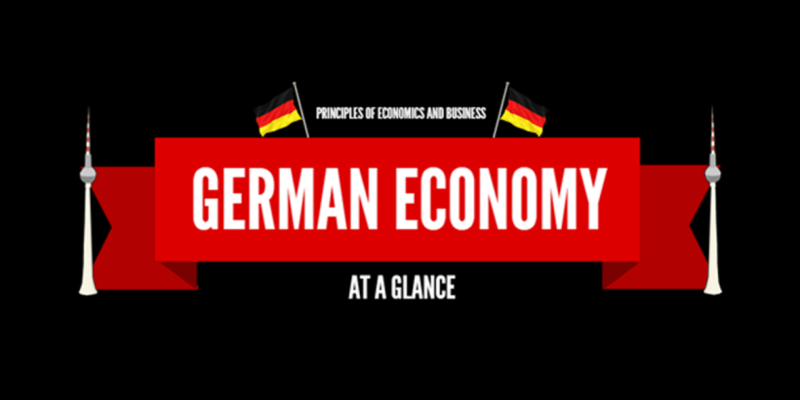 The German economy is Europe’s largest and the fifth largest economy in the world (in PPP terms). Its GDP stands at USD 3.86 trillion with a real growth rate of roughly 1.6% per year. Germany’s per capita GDP stands at USD 45’900, which is well above average. Germany is running a budget surplus of USD 20 billion, which equals 0.4% of GDP. Its public debt stands at 74.7% of GDP and inflation is under control at 0.8% per year. Germany’s exports are expected to grow up to 4% annually, which would make it the 3rd largest exporter worldwide. Accordingly, the country has a positive current account balance of USD 287.5 billion. 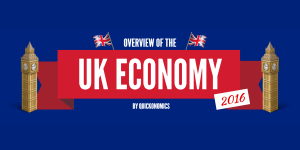 The country has a powerful service economy with a strong manufacturing sector. Hence, largest industries by employment are retail trade and manufacturing. Other relevant industries include healthcare & social assistance, construction, professional scientific & technical services, public administration, and accommodation and food services. Germany has a strong and highly skilled labor force. According to the Annual Economic Report drafted by the Federal Government, the employment numbers will reach an all-time high of 42.8 million people employed in 2015. The unemployment rate currently stands at 5%. Bayern has the country’s lowest unemployment at 2.9%, while Berlin has the highest rate at 9.8%. Germany ranks well above average in terms of income equality. The country’s median household income stands at USD 31’252 and minimum wage is at USD 1’665 per month. The lowest 10% of the population earn 3.6% of total income and the highest 10% earn 24% of total income. As a result, about 15% of the population live below the poverty line.